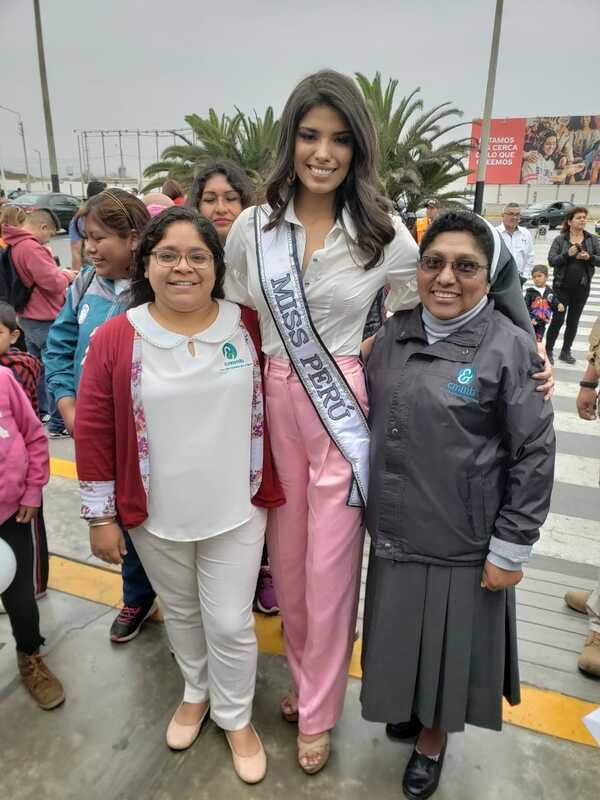 On Wednesday, September 5, 2018, CMMB Peru received a very special visit from Maria José Lora – Miss Grand International 2017. Maria José is a celebrity in Peru, and a well known advocate for the rights and well-being of mothers and children. 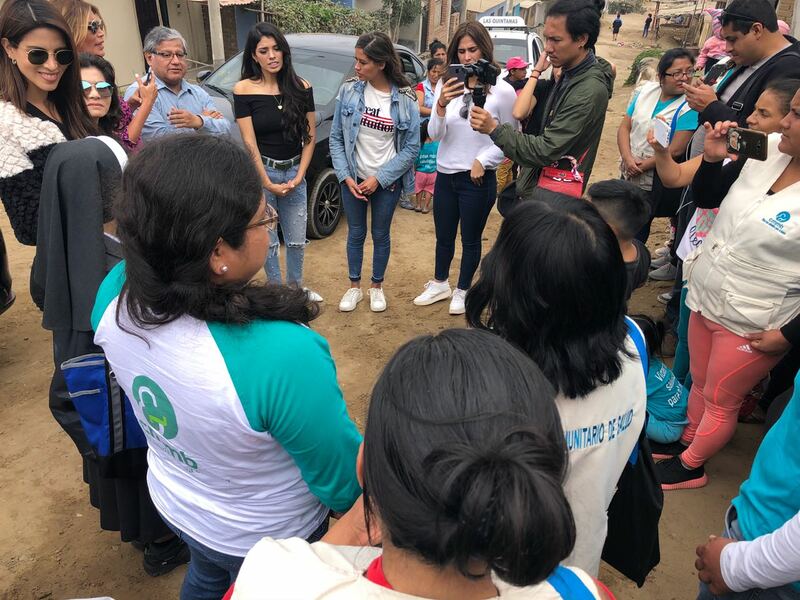 Miss Grand International Peru during her first visit to our beneficiaries in Trujillo, Peru. Maria José first visited CMMB Peru in February, just before beginning a very busy travel schedule. During this visit, she accompanied the CMMB technical team and met community health agents who are working on health education projects like the First Thousand Days Project. Together, we can make life better for women and children living in poverty. Her commitment to advocating on behalf of women and children is what ultimately led her to CMMB. Drawn to our mission and eager to be part of the solution, she joined CMMB Peru as an ambassador. This role will allow her to continue her work advocating for those who are too often unheard and raising awareness about the conditions of the most vulnerable in Peru. 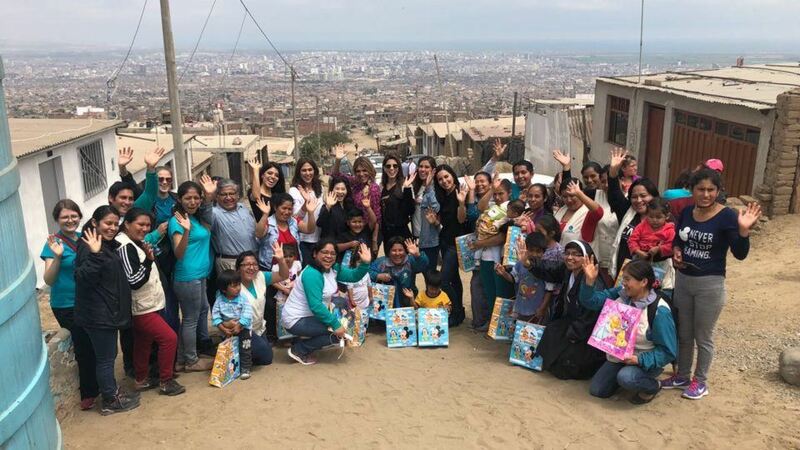 Our special guests were given a warm reception from the CMMB family, and went on tours of our project facilities, learning more about the work while meeting the women, children, and communities directly impacted by the programs and activities. CMMB’s Rehabilitation with Hope is an community-based program that works to bring improved health and dignity to children with disabilities and their families. What a privilege it has been. After our time at the Rehabilitation with Hope Learning Center, we moved into the communities, to meet women and children at their homes. Our First Thousand Days program is aimed at improving the health outcomes for the most vulnerable. We prioritize mother–baby dyads from gestation through age five. We give moms information about healthy practices around nutrition, water, sanitation, and hygiene and about appropriate nutritional supplementation for children who are underweight or malnourished. We have instituted community health‐surveillance systems, battled gender-based violence, and addressed economic self‐sufficiency. Increased awareness, knowledge, and home-based behaviors around locally identified public health issues and promoted positive behavior change. Increased access to health and social services, taking a primary healthcare approach. Improved the quality of services for women and children in the formal health system. Empowered communities to identify and implement programs to improve public health. Trained and mentored clinicians in order to ensure high-quality care for babies and young children. During this next stop our visitors were able to meet mothers and children enrolled in this program. One mother told Maria José that her child, who once suffered from anemia, is now on the road to recovery thanks to the First Thousand Days program. Although anemia is on the rise throughout Peru, we are proud to report that it is falling in the areas where we work. For example, in Trujillo, the prevalence of anemia actually fell 38.06 percent in children and 23.96 percent among pregnant women in a recent year. This is something to celebrate! CMMB Peru is proud of it’s growing partnership with the Miss Peru Organization, on Sunday, October 21 Anyella Grados was crowned Miss Peru 2019. 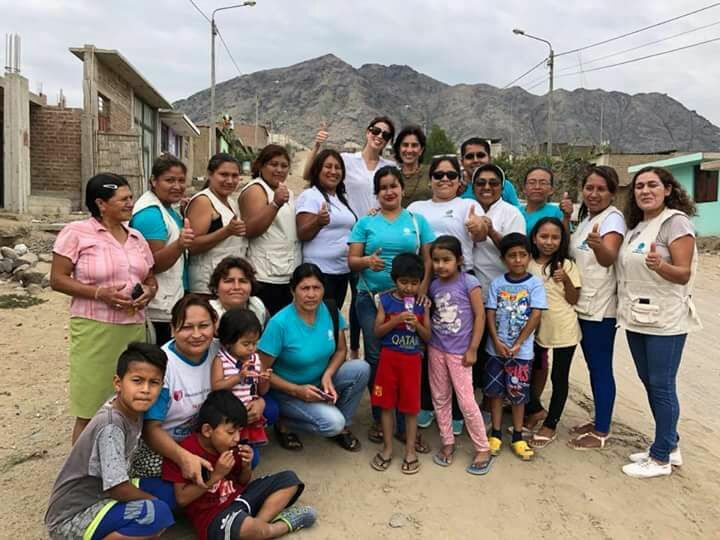 Following in the footsteps of former Miss Peru, Maria José, as part of her Miss Peru activities, Anyella Grados visited Trujillo where CMMB has many programs with women and children. Interested in the Spanish version? Click here.